Often, on the web, links break or users type in the wrong URL. Sometimes pages go AWOL. At this point a 404 page is displayed, and I thought I’d compile a few of the more recent ones that I’ve spotted. The thing with 404 pages is that they are often overlooked and uncared for. Ours is in need of a humour injection, though it ticks some of the more important best practice boxes by including a search tool, sitemap and link to the homepage. Based on many of these examples, this post should be filed under inspiration, as opposed to best practice, though if you are going to revamp your own 404 page then be sure to help users dig their way out of the hole they’ve fallen into. 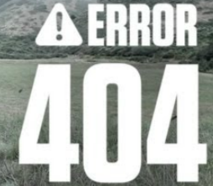 If you want to dig deeper then check out this post on 404 pages and best practice (contains some other examples). A word of warning: some of the following pages will blast techno music through your speakers. Brace yourself. I’ll also put in an honourable mention for B3ta’s thoroughly NSFW 404 page. Proceed with caution if nuns are in the vicinity. When Google+ was unveiled in June of last year, it was clear that the company had created its best social networking product to date. Obviously inspired to some extent by Facebook, if Google+ had been launched by a start-up instead of the world’s largest search engine, some pundits might have labelled it a potential threat. And for good reason: there was a lot to like about Google+. It was clean, sort of like Facebook back in the day, and lest it be accused of copying Facebook entirely, Google added some interesting features to the mix – such as Circles and Hangouts. Tate has launched a new e-commerce site aimed at increasing sales and driving more revenue to support the organisation’s galleries. The previous version was almost 10 years old, so Tate Enterprises redesigned the site with a focus on better interaction with old and new customers – while making the site easier to navigate. Tate has been testing and developing the site with e-commerce provider Venda for more than a year.